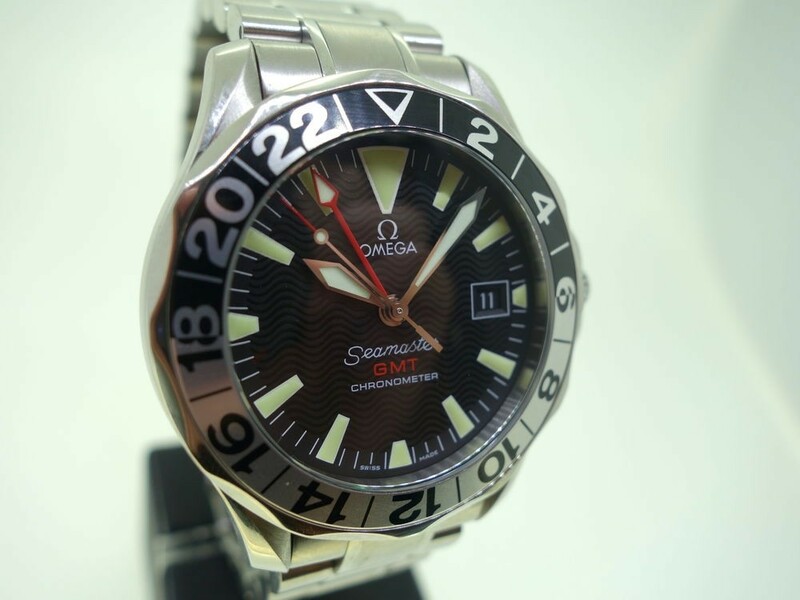 Omega Seamaster 300 Chronometer GMT in stainless steel. 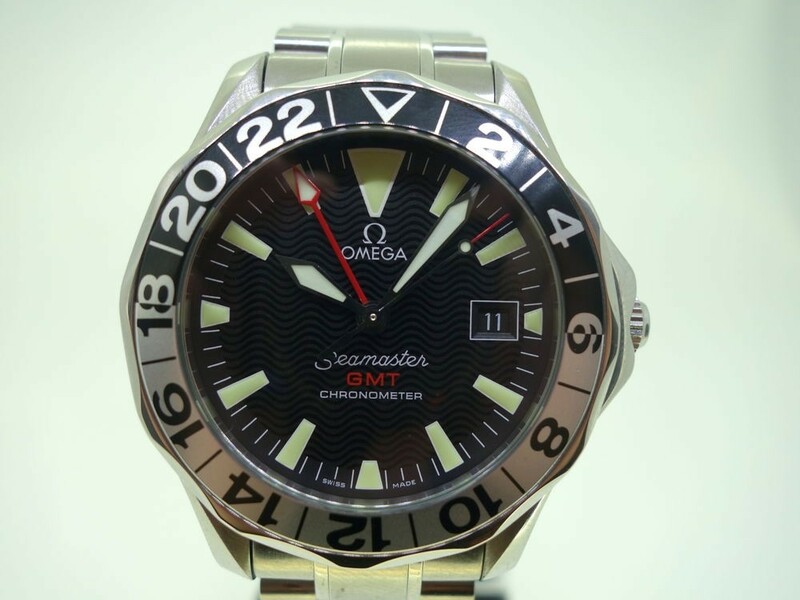 50yr anniversary edition of the Seamaster collection with embossed caseback. 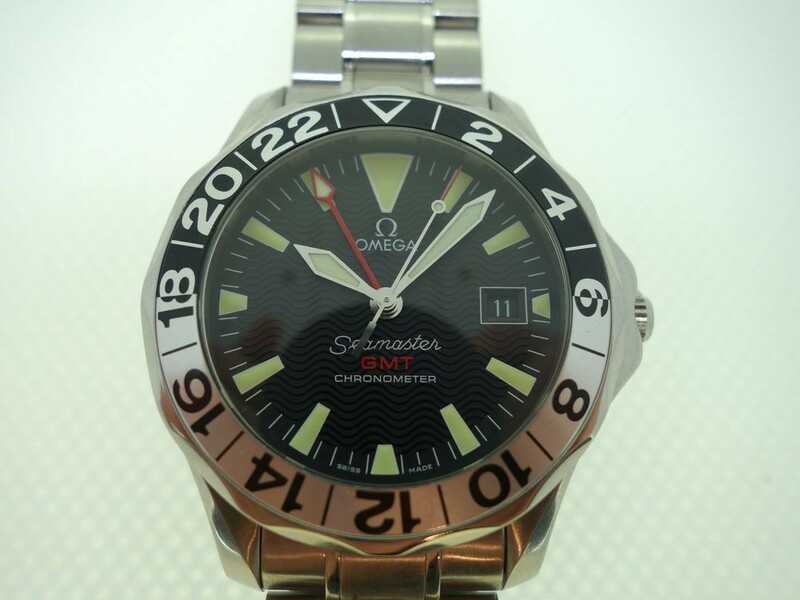 Black dial with printed luminous markers and date at 3. 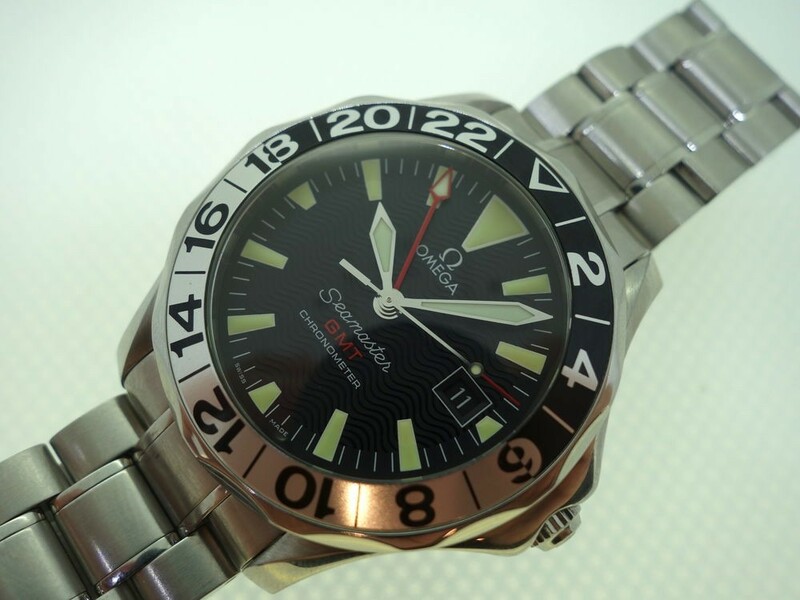 Automatic GMT chronometer rated movement, calibre 1128. 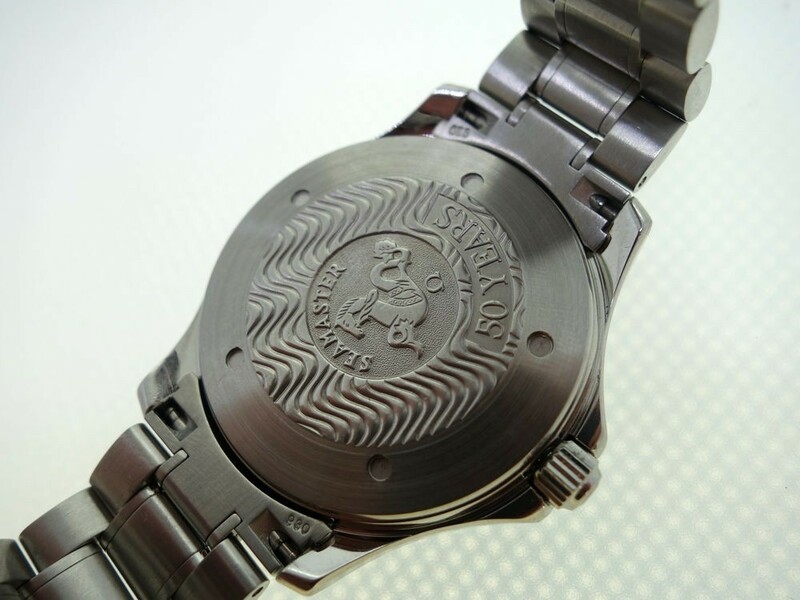 41mm case with sapphire crystal, screw down crown. 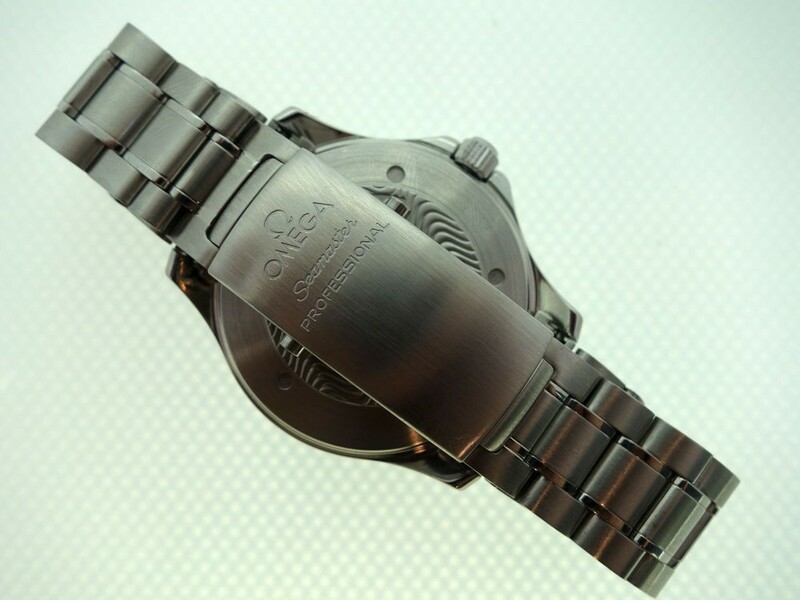 Stainless steel bracelet with machined steel Omega clasp. This watch comes in superb condition throughout with full box set, including original swing tags & papers, circa 2003. 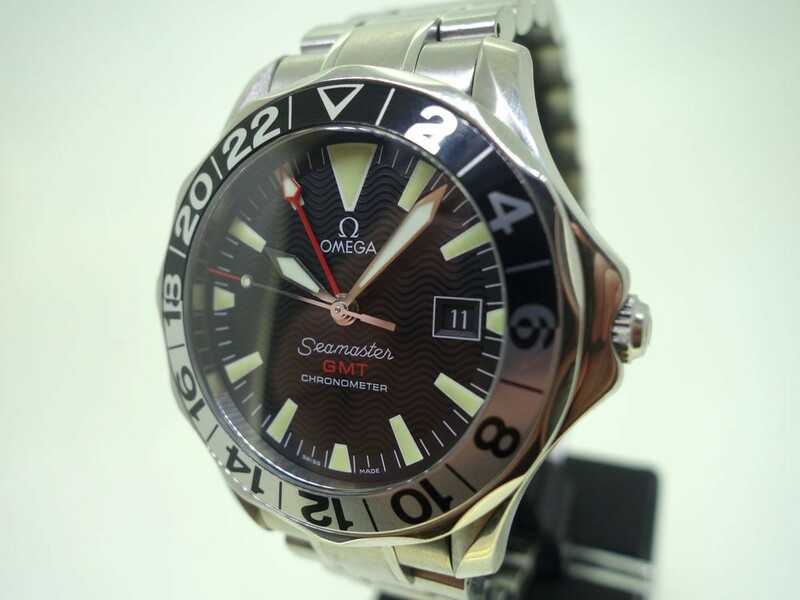 12 month warranty.